Discussion in 'Pokémon Games Discussion' started by Linkachu, Jul 10, 2010. Mostly just testing the forum calendar event function here, but PokePark Wii: Pikachu's Adventure was released in Europe today. Guess there is no solid date for North America yet. If any of you guys in Europe/UK bought it and played it today, was it worth your cash? And for the rest of us who can't buy it yet, any plans to do so? I'll definitely be buying it, simply because it's a Pokemon game and Wii needs more of 'em. Even if I find it too shallow for my liking, I know my little sisters will enjoy it. I'm hopeful that the game will turn out alright, tho. What I've read up on it thus far actually sounded fairly fun. Crossing my fingers! It looks very interesting, and I will buy it when it comes out here. Same here, so once it reaches North American shores, I'll buy it. I got it for my birthday its fun but also very very hard! Waitwhat. I've never heard of a Pokemon game only coming out in the Europe and Japan, but not in the US. But anyway, I'm planning on buying it. It seems adorable, and a good way to pass the time when I'm bored. Yeah, it's coming to America They're probably just going to release it around the Holidays. But yeah, I'll get it. Mainly because it seems like different version of Mystery Dungeon. I was on of the first people in the world to get the English version. It was not worth my cash! 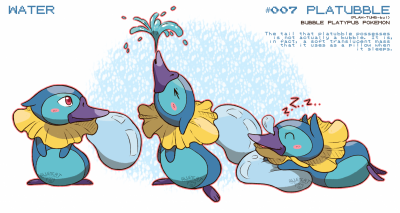 I love Pokemon, (I want to hug a piplup, ;D) but it was way too easy. I completed it is four days!